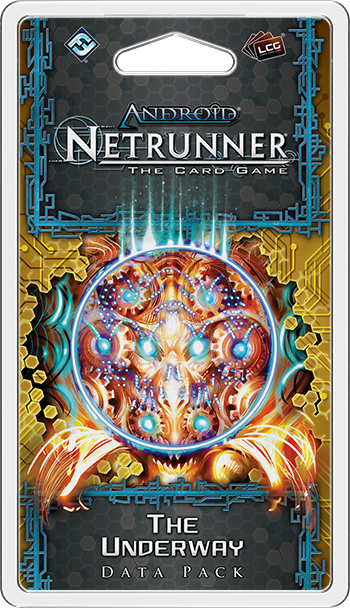 Everything has its price in The Underway, now available for Android: Netrunner! The Underway is the real estate that appeared when the Big One opened up the San Andreas fault. Since then, it has become a motley assembly of many different architectural styles, ethnicities, and cultural influences. It’s a hotbed of holographic artists, indie studios, and the birthplace of Jank-Juke-Jazz. It's also a space that has become synonymous with gang activity, particularly that of Los Muertos, a street gang whose members are identified by their bioluminescent tattoos and that deals in illegal tech as much as it deals in flesh and drugs. To the outsider, Los Muertos appears to be a troublesome street gang with an unknown membership count, riotous bioluminescent gang colors, and no known leadership. But residents of the Underway have a better understanding of Los Muertos; Los Muertos is the Underway. It's the organization that's pushing the goods and setting the price. The gang has invested in every aspect of the city's eclectic behaviors, running everything from flesh and drugs to technology. 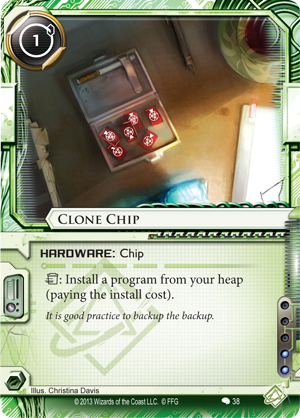 In fact, it's the gang's traffic in illicit technology that has truly effected its meteoric rise, and the Runner cards in The Underway offer a sample of this tech, even as they trace the gang's influence through all aspects of Underway life. 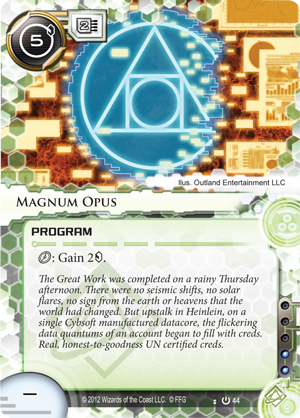 Meanwhile, the game's megacorps have their own secrets, and the Corp cards in The Underway focus on keeping those secrets secret. 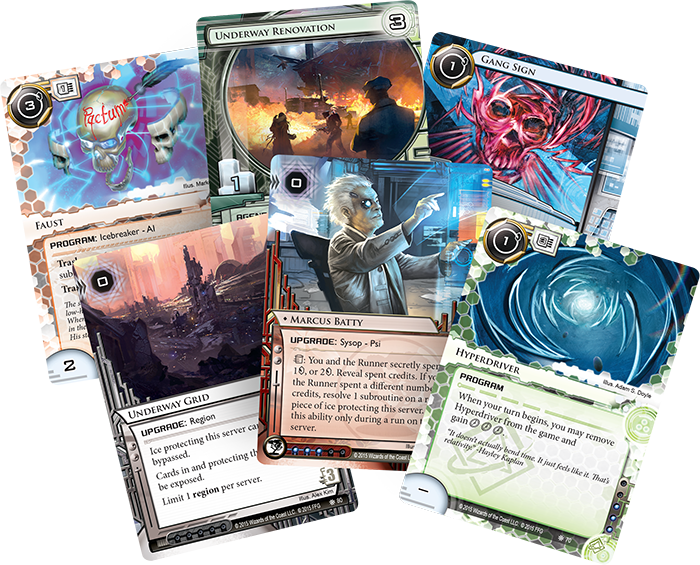 You'll find paid assassins alongside top-secret research, Psi games, and a new region upgrade that keeps the entire Underway Grid (The Underway, 80) safe from prying eyes. What sort of figure rises to the top of a secretive, chaotic, criminal organization like Los Muertos? One with a head for logistics. While the gang's in no danger of running out of street toughs, fences, stim dealers, thieves, runners, and enforcers, it has only one tech lord, Armand "Geist" Walker (The Underway, 63). He's the man who makes things happen. Without his influence, the gang would not enjoy all the power it wields. 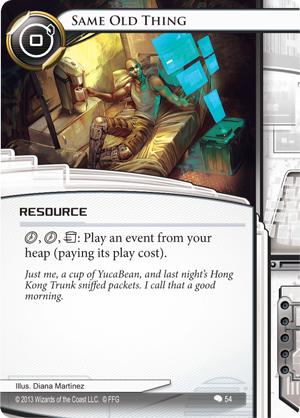 It's commonly argued that Criminals are the most event-driven faction in Android: Netrunner, owing largely to the fantastic strength of such faction-defining events as Account Siphon (Core Set, 18) and Inside Job (Core Set, 21). 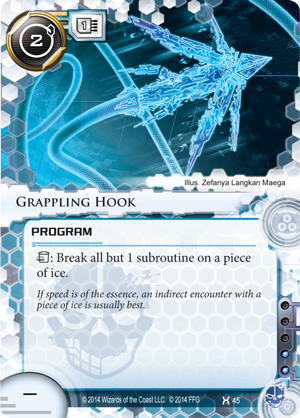 Whenever you play as a Criminal, the mere existence of these events and others like them keeps your opponent guessing at what you might have in your hand. Ice has to go to HQ first. Maybe even a second layer of ice after the first. 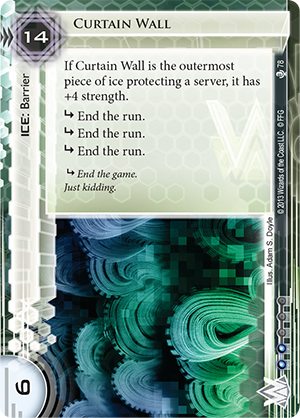 Your opponent has to wonder if just one layer of ice can possibly protect a remote server. Likely, it can't. If you're a Criminal, you likely have an event in your hand that can turn the game on its head. However, as much as these events afford you a wide range of tremendous advantages, they also come with one rather meaningful, inherent drawback. Events are discarded after they resolve. 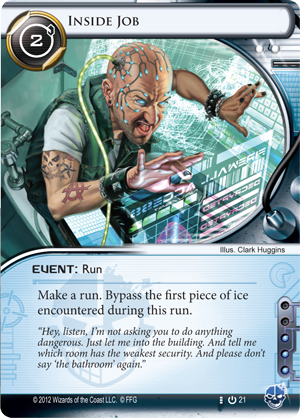 In Android: Netrunner, this means a number of things. First, it means that once you've finished playing your event, you're just a shade closer to death. 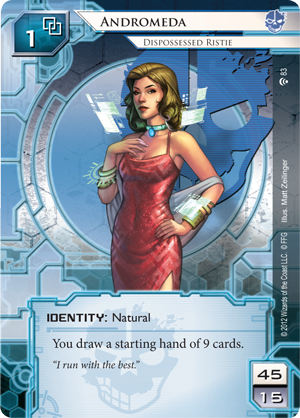 Since Runners are flatlined whenever they run out of cards, your event-based strategy will force you to flirt with danger over and over and over. This brings us to a second related concern: events are unsustainable spikes in a game's tempo. After you play your events, you need to spend your clicks to draw back up. 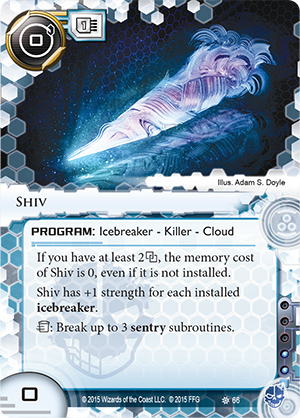 A Shaper who builds a stable rig of three breakers and a Magnum Opus (Core Set, 44) may never need to draw again, but a Criminal looking for his next Inside Job or Emergency Shutdown (Cyber Exodus, 43) is likely to sacrifice a number of clicks to find it. Just as successfully completing an Account Siphon may lead you to an enormous tempo lead against the Corp, having to spend five or more clicks to find your next Account Siphon may turn the tables back against you. This is where Geist's ability comes into play. Any Criminal can play events, but only Geist can draw them. Andromeda (Humanity's Shadow, 83) can give you an initial advantage, but Geist can propel you forward round after round after round. Once you play your Account Siphon and trash your Same Old Thing (Creation and Control, 54) to play it again, Geist will give you a card draw, pushing you that much closer to your next Account Siphon. 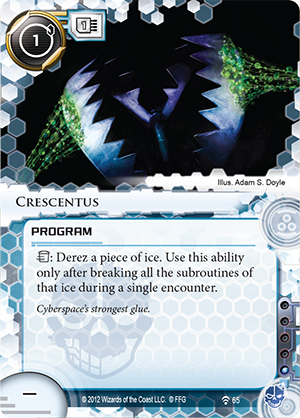 Interestingly enough, although Geist's ability allows you to draw into your strongest events time and again, he doesn't trigger off your events. He triggers off the tech he moves throughout the West Coast. 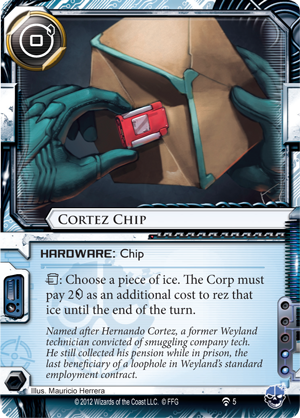 A shipment of Clone Chips (Creation and Control, 38), an unregistered Grappling Hook (Honor and Profit, 45), a stolen Cortez Chip (What Lies Ahead, 5), or a rogue Crescentus (A Study in Static, 65) – they're all liquid in Geist's ledgers. Move them on, and you move closer to doing what you really want to do: sneak into Corporate servers and steal their data for profit. 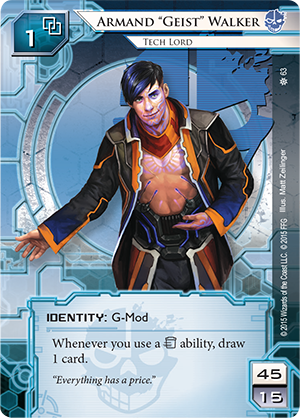 Of course, as someone who excels at making his assets liquid, Geist transforms the other Los Muertos cards you'll find in The Underway. 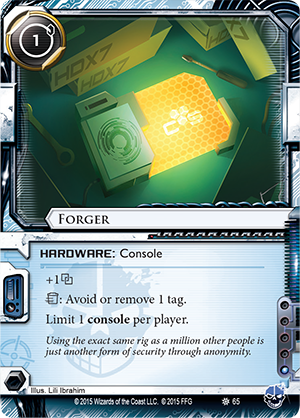 Forger (The Underway, 65) takes on new context as a component of a draw engine, as does Shiv (The Underway, 66). Geist even casts his gang members in a new light. 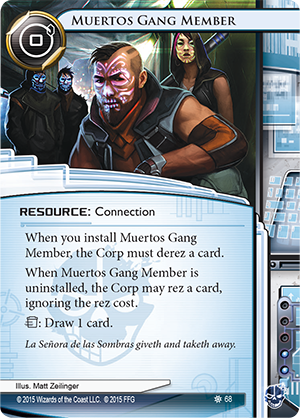 A Muertos Gang Member (The Underway, 68) is bound to allow the Corp to rez a card that's more expensive than the card it forces the Corp to derez, but if you run as Geist, you can get two cards for trashing the Gang Member, insead of just one. 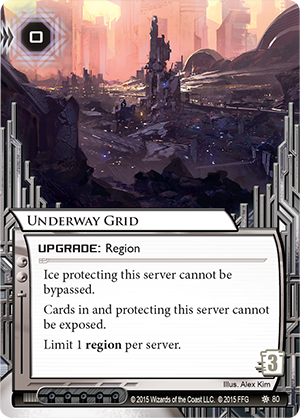 And then, since you're as good at logistics as Geist, you can draw your cards, finish your HQ run, watch the Corp rez some ice like Curtain Wall (True Colors, 78), and spend your next click to play Emergency Shutdown, preferably the copy you just drew. 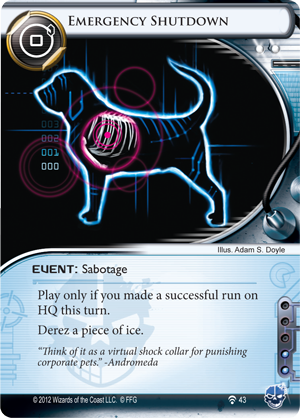 Whether you explore The Underway as Geist and call upon the members of Los Muertos to support you or you utilize its illicit tech in another Runner or Corp deck, you'll find the game's cyberstruggles take on a different feel in this region of SanSan. Here, the tech is a touch more surprising; the local colors form an eclectic, bioluminescent pastiche; and the Corps are more direct and hands-on in their efforts to keep their work under wraps and out of sight. What will you find in The Underway? 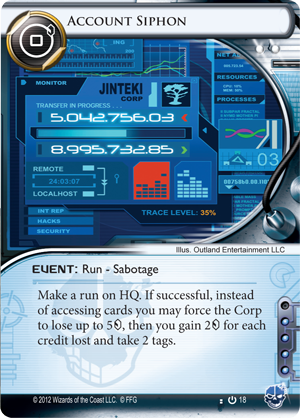 This Data Pack is now available at retailers throughout the U.S. Availability in other regions may vary. Head to your local retailer to pick up your copy today, or order it online through our webstore!